Shankly signed for Preston North End in the summer of 1933. The previous season, his first as a pro, he had broken into the Carlisle United side mid-season and impressed with his enthusiastic play. Preston, who had tried already to sign Shankly before he joined Carlisle, were not to be outdone a second time. The fee agreed between the two clubs was £500 and Bill received £10 as a signing on fee. As had happened at Carlisle, he started the season in the reserves, for this was now a higher standard of football, Preston being in Division 2. He eventually made his full debut for them on December 9th against Hull City and quickly established himself as a regular and a crowd favourite owing to his whole hearted attitude and commitment to the side. 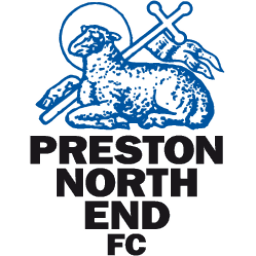 At the end of the season Preston had gained promotion to the Division 1 and Shankly had become a cornerstone of the side. Shankly clearly impressed Preston North End's correspondent, Walter Pilkington, who wrote at the end of Shankly's debut season: "One of this season's discoveries, Bill Shankly, played with rare tenacity and uncommonly good ideas for a lad of twenty. He is full of good football and possessed with unlimited energy; he should go far." In an otherwise disappointing season, in 1936-37, Preston had the satisfaction of reaching the F.A. Cup Final. At Wembley they came up against a strong Sunderland team that boasted Patsy Gallacher and Raich Carter. Sunderland ran out 3:1 winners and Preston never did themselves justice. The following year, Shankly scored his first league goal for Preston in a 2-2 draw against, of all teams, Liverpool at Anfield on 2nd February 1938. North End were again to reach the Cup Final that season and this time they ran out 1:0 winners against Huddersfield. They were now one of the strongest teams in the country. It was the pinnacle of Shankly's playing career when Preston won the FA Cup in 1938 as the man himself remembers: "It was warm and the Preston players posed for photographers. Tommy Smith, the captain, was carried shoulder high and we all had our hands on the Cup. The sweat poured off us, even though we had short-sleeved jerseys, having learned from the year before. I've still got that silk jersey, made in Preston." Preston North End legend Tom Finney was Shankly's teammate: "Shanks first set foot in Deepdale in 1933 and within months, at just 19, he was in the first team. As you may imagine, he wasn't a guy to give up his shirt without a fight and he followed his debut by playing 85 games in a row. He stayed for 17 seasons, eventually returning to Carlisle as manager. During his time at Preston, he won an FA Cup winner's medal, in 1938, and was capped by Scotland; he was also a member of our double-winning wartime side. A much better all-round player than some might have you believe, Shanks worked tirelessly to improve. After morning training he was always asking if anyone fancied going back for an extra session or a game of head tennis in the afternoon." Bill Shankly lost 7 years of his career to the war. When war broke out in 1939, he was 26 years old, and the time lost until 1945 spanned his peak years as a player. 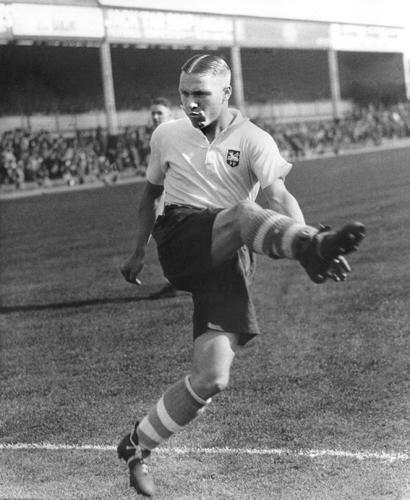 Bill, who was in the RAF, starred for Norwich, Luton, Arsenal and Partick Thistle in the war as well as playing a single game for Liverpool on 30th May 1942 in a 4-1 win over Everton at Anfield. When full League football resumed for the 1946-47 season, he was already being considered (wrongly) as too old. 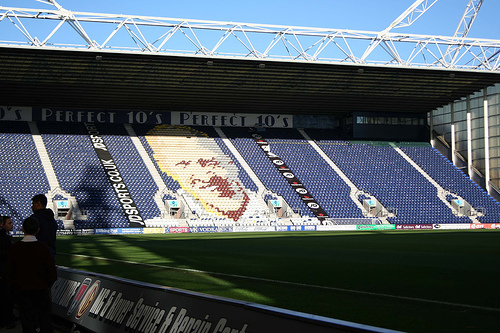 Preston still held his registration, and despite playing for a number of clubs between 1939 and 1946, it was Deepdale where he resumed his full professional career after hostilities had ceased. Shankly was now viewed as being part of a pre-war generation. Many clubs were throwing in youngsters in an attempt to make a fresh post-war start. Shankly, still a hugely accomplished player, soon found himself on the fringe of things and would often find himself helping to bring on the kids in the reserves. "As a player I specialized in tackling, which is an art, and I was never sent off the field or had my name in a referee's book. The art of tackling, as with many things, is in the timing - the contact, winning the ball, upsetting the opposition, maybe even hurting them. You're in, you're out, you've won it and you've hurt him and left him lying there, but it's not a foul because you have timed everything right. I played it hard, but fair. No cheating. I'd have broken somebody's leg maybe, with a hard tackle, with a bit of spirit, but that's a different story from cheating." "I'll never forget one game at Tottenham when Jimmy Greaves took a corner. I thought someone had shouted so I ducked and the ball went into the net. All the way home on the train Shanks was saying 'I'll put Gerry Byrne in Walton prison.'"